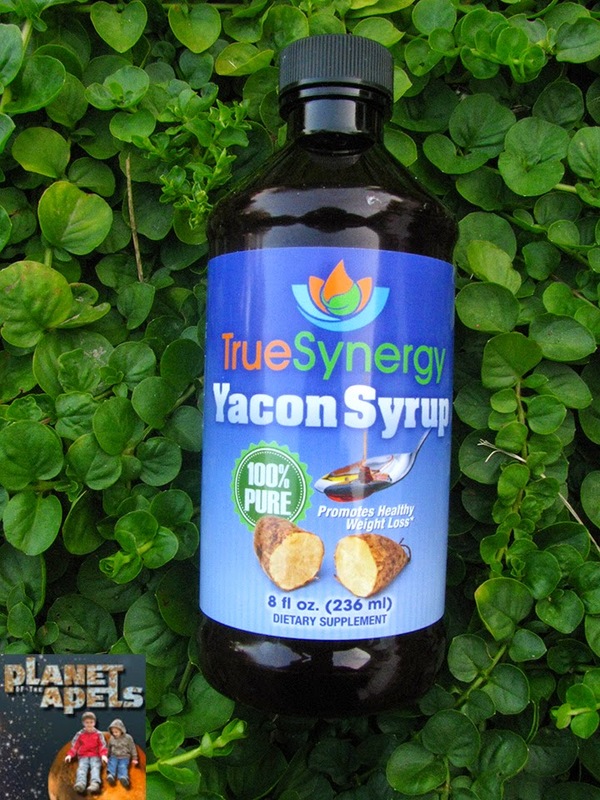 I recently got True Synergy - Yacon Syrup Review. extracted from the tuberous roots of the yacon plant. It's not like maple syrup. That's what first entered my mind. It's more the consistency of molasses. It's originally $39.99 and on sale for $17.95. Pure yacon syrup assists in weight loss and slimming waist sizes. It helps regulate blood sugar. I love that it has a lot of fiber in it. The syrup, distilled from the Peruvian tuber yacon -- contains up to 50 percent fructooligosacharides, or FOS. FOS, classified as a prebiotic, is a non-caloric sweetener. According to a 2009 Scientific study, daily intake of yacon syrup produced a significant decrease in body weight, waist circumference and body mass index. You can take 1 teaspoon 3 times a day. Do not take if you are allergic to yacon or related foods, such as sunflower seeds. Ask your doctor if yacon syrup is ok to take if you are pregnant or nursing. Yacon syrup Speeds up the metabolism to combat excess fat and regulates the hunger hormone, making you feel full longer. It's great for diabetics because it's a low-glycemic sweetener. I used it to make Banana Almond Ice Cream. In a food processor add 1/2 cup almonds. Process to look like almond butter. You may need to pulse a few times. This does take a few minutes to process. Add 2 Tablespoons of coconut manna, or coconut oil. Add 1/8 cup True Synergy - Yacon Syrup. Add 2 cut up frozen bananas, and 1 regular banana. Add 1/2 cup almond milk, rice milk, cashew milk, or soy milk. Keep processing until it's all mixed in, and there are no clumps. *Optional add in mini chocolate chips. Freeze for 3 or 4 hours before serving. It tastes like soft served ice cream. The boys loved it. It's a healthy snack. Much healthier than store bought ice cream. I have seen this advertised but not tried it. Glad to see your boys enjoyed it. Maybe I should give it a try. 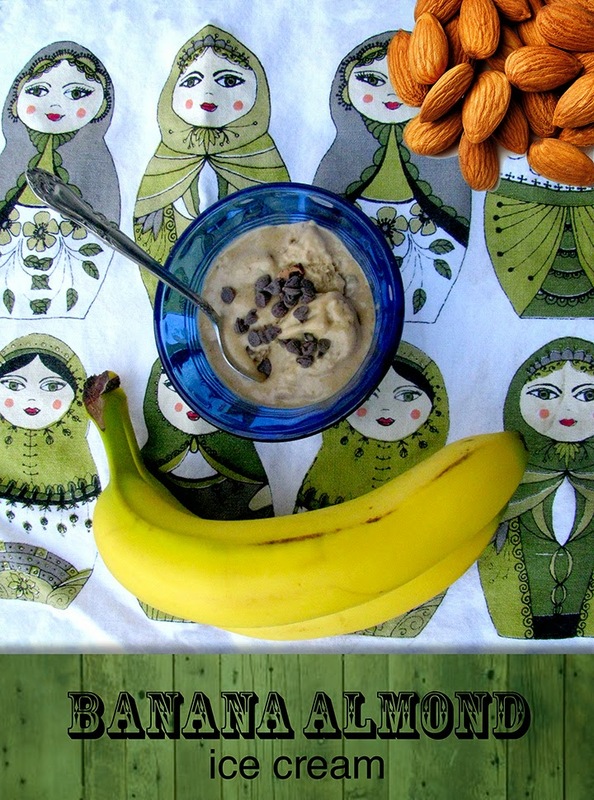 Banana Almond Ice Cream does sound tasty good. My FIL is diabetic. I wonder if my MIL has heard of this? I'll ask her. Options are always good. I bet that Yacon syrup is very tasty. I know I use agave and love it... This would be something I would do for sure. I wonder if it helps in the area under the belly button. I am having the worst time getting that to go down. I'd give this a try if it would help! that actually sounds really delicious! i want to try it soon.